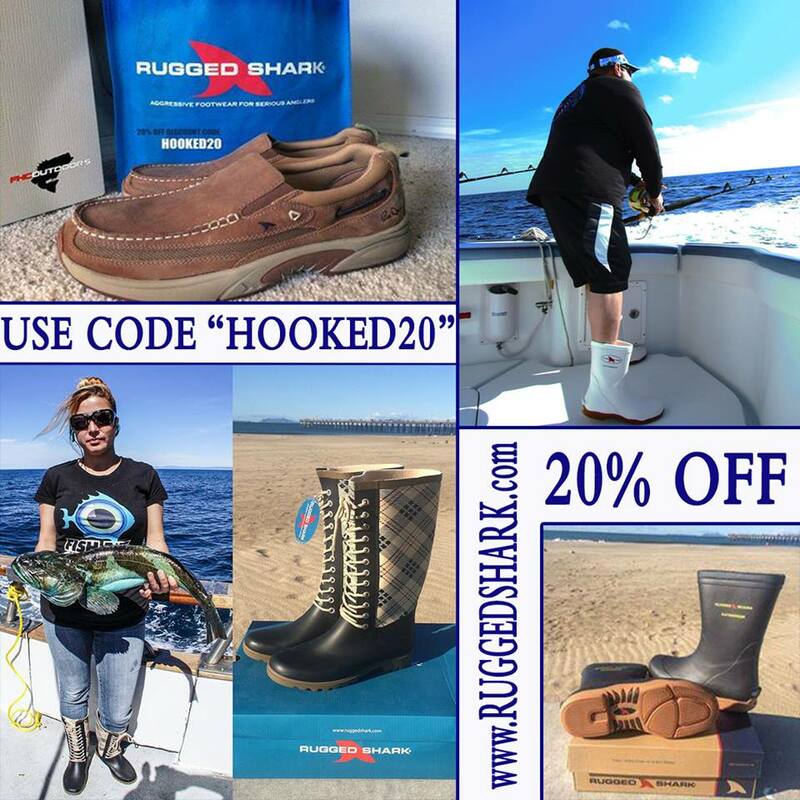 Anyone looking for new boots this upcoming season should jump on this deal by Rugged Shark. The Saltwater Fishing Expo is back...so that means fishing season is right around the corner! 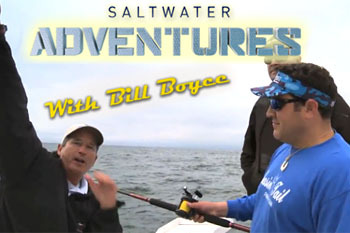 This is the area's largest fishing show dedicated to saltwater fishing. It's easily accessible from NY, NJ, CT and PA and well worth the trip. 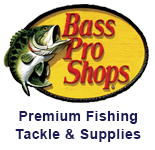 It's well represented my many of the major tackle manufactures and a great place to meet and talk with the pros. Capt. Joey will be there on Friday, so if you are there, please stop and say hello. 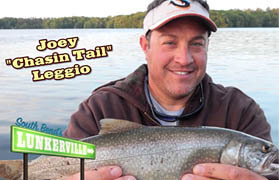 I am sure we will be spending some time over at Tony Maja's stand to talk about getting ready for the spring bass trolling season! Well you asked for it and he delivered.. 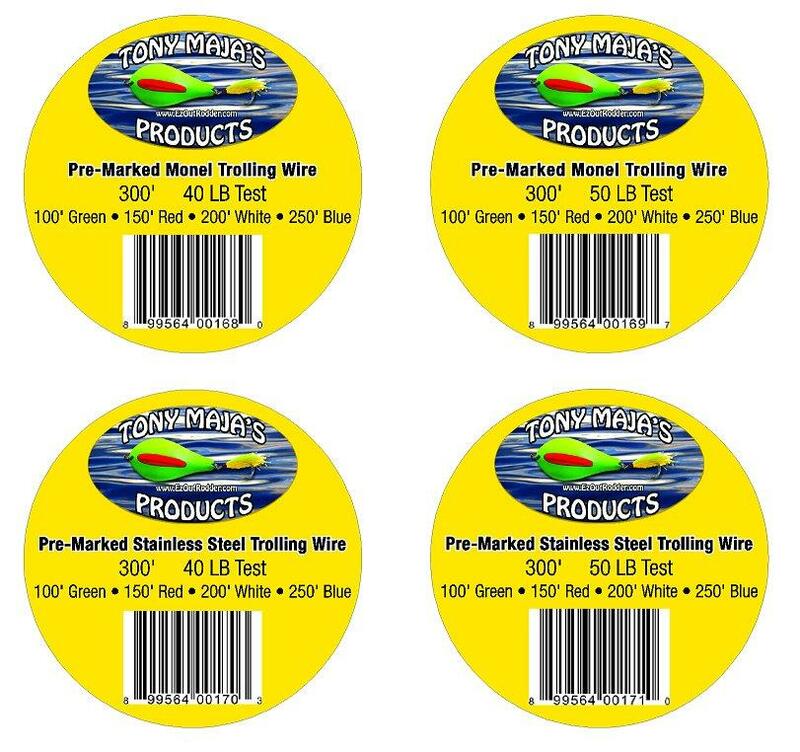 Here it is...The ALL NEW Tony Maja's Pre-Marked Trolling Wire. Available in Stainless or Monel, comes in 300' spools of 40# or 50#. 100' out Green, 150' out Red, 200' out White, 250' out Blue. "The Complete Trolling System"
Looks like there will be no changes for Fluke this upcoming season. Newsday February 17, 2015. Well, it's about that time of the year! 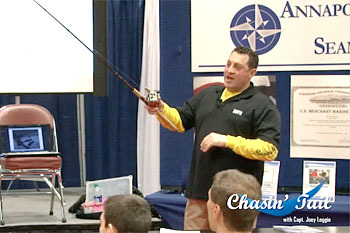 The World Fishing & Outdoor Expo in Suffern, NY is coming to town from March 5-8th. For those of you not familiar, this is the BIGGEST fishing and outdoor show in the region...probably in the whole Northeast! And the past two years have been the biggest ever. The show is loaded with Freshwater, Saltwater, Hunting and Outdoor related vendors. All the major tackle manufactures are represented, including Shimana, Daiwa, Penn and much, much more. If you have never been there, seriously, you need to go, it's awesome. From the NY/LI bridges, the show is about 45 minutes North on the NY State Thruway. 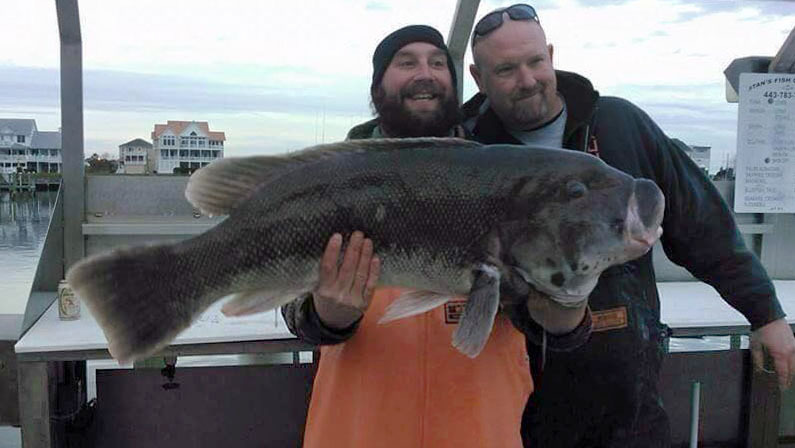 New World Record Blackfish - 28.8lbs! 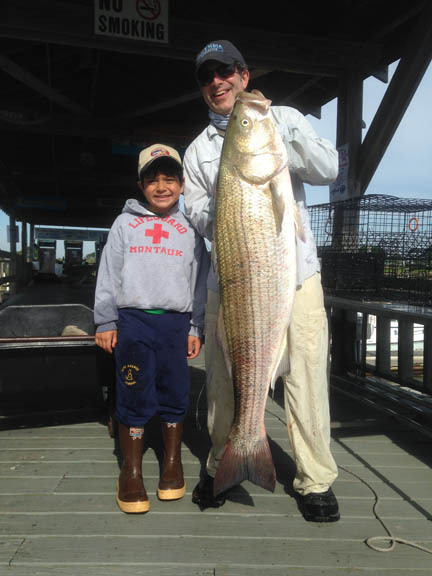 Congrats to Kenneth Westerfeld on catching the new world record blackfish today down in Ocean City, Maryland. The monster fish weighed 28.8lbs, 35 inches! Fall is here, and so are the Albies! 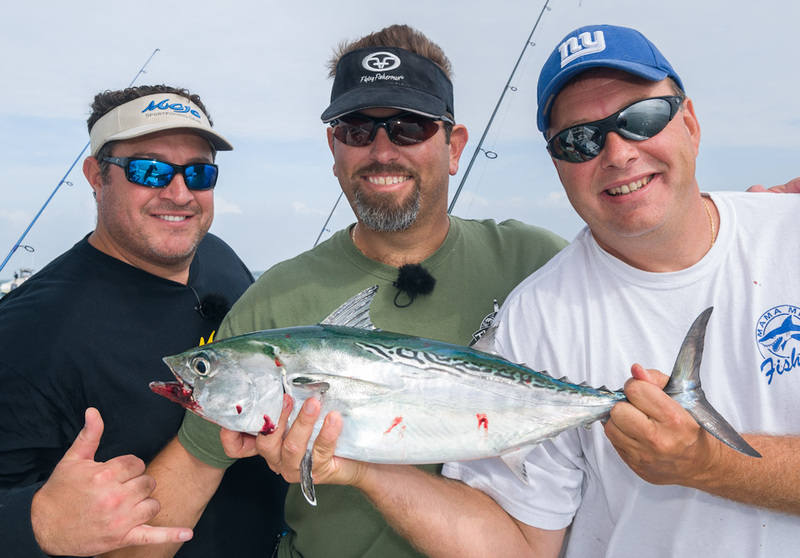 If you like screaming drags and chasing a fish around the boat, then False Albacore (aka "little tunny") fishing is for you. The time is now. All the inlets have Albies. We did a trip to Montauk and the action was non-stop. These little speedsters will really put your gear to the test. Had a great trip with Capt. 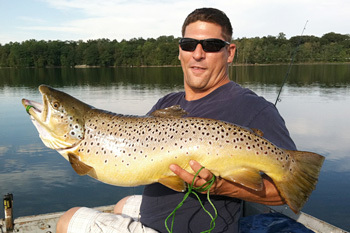 Adrian of Time Flies Sportfishing . Check out our action packed video of the trip here! Please Join the ChasinTailTV YouTube Page!! If you enjoy the ChasinTailTV website...please show your support by subscribing to our YouTube page! Team Frankie James takes 3rd fishing for a cure.. Team Frankie James AKA Chasin Tail , fished the M.S. fish for a cure tournament and took 3rd place with a 6.05 Fluke. Sean Low caught the fish on a Asgard Bucktail / K.O. rig. Team Member Kevin (Squiddy) Sheehan was high hook and proved that Flurocarbon works.. The team had a 5 man limit with many fish in the 4 pound class. Capt. Joey and Pete take 2nd in the Memorial Day Bass Shootout. A few people have asked...so here it is...our new "Yard Sale" forum...feel free to post any fishing related equipment you would like to sell. April 15 was the opening day of Striped Bass in NY but with the cold temps and even colder water, April 15 I found myself watching old Youtube videos of Striped Bass fishing instead of actually fishing for them. Well, the reports are starting to come in and the water is warming up so get out and bend a rod on one of NY's most sought after game-fish... If you get those big prego females, take a weight, snap and pic and let her live if you can. The 5th Annual Memorial Day Bass Shootout is coming up..... (See Flyer).. 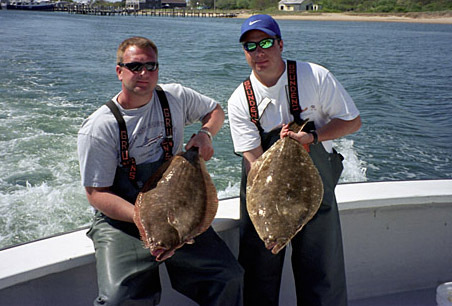 The new Fluke regulations are in!! 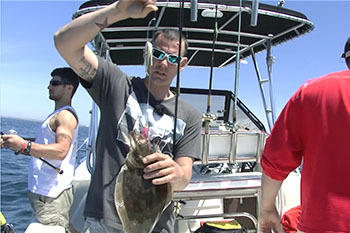 Attention Attention...JUST IN: The NY Fluke season will start in May 17 thru September 21. We can harvest 5 fish at 18"....stoked and ready to go fluking! Capt. Joey will be at the Tony Maja Booth all day Friday the 14th and half day on Saturday the 15th. 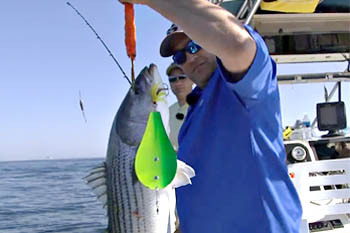 Come on down and join Captain Joey Leggio of www.ChasinTailTV.com and lets talk trolling for Striped Bass. The Saltwater Fishing Expo in Somerset, NJ. 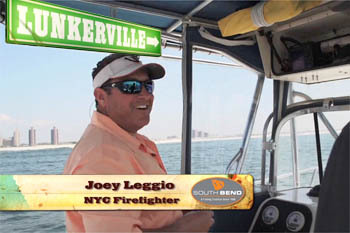 Over the past nine years this show has grown to become the fishing destination that kicks off the New Jersey and Tri-State coastline's saltwater fishing season. It's where avid anglers congregate to plot out their season and buy the gear they've been dreaming about all winter. With many of the major tackle manufacturers here to answer all your questions and local tackle retailers available to fill your orders, this is truly one stop shopping. 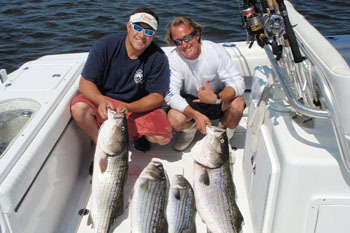 Meet face to face with guides and charters, compare and buy saltwater fishing boats and kayaks, and learn the latest techniques from local experts March 14-16, 2014 at the Garden State Exhibit Center. 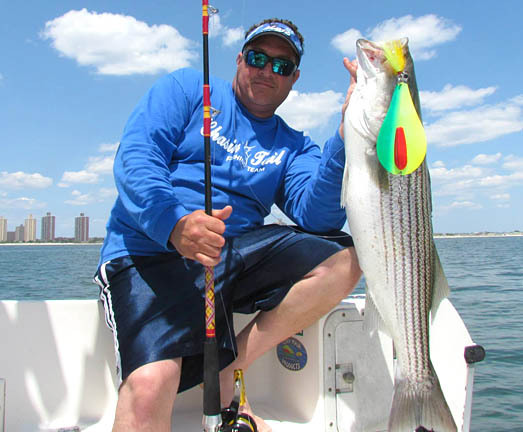 Whether your saltwater fishing passion is surf casting, inshore or offshore all are well represented through large and small manufacturers based up and down the east coast. 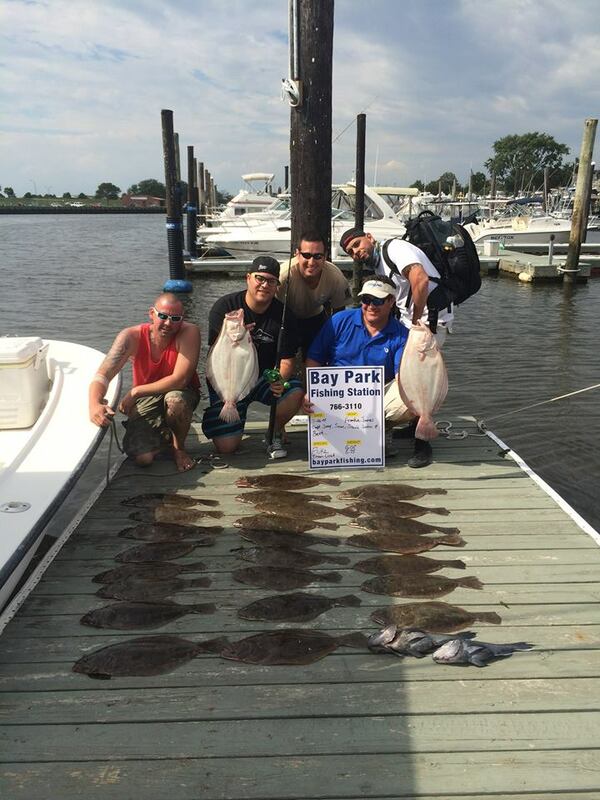 Mark your calendars now and don't miss the 9th Annual Saltwater Fishing Expo in Somerset, NJ. After 37 consecutive years....what's left to say about The World Fishing & Outdoor Expo? It's the biggest...and the best! Freshwater, Saltwater, Manufactures, Charters, Lodges...are all well represented at this one. And for our LI friends...remember...this is only 40 minutes north from the bridges..and super easy to get to. 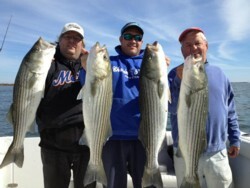 And don't forget to say hello to our freind Steve Coby of Chance of a Lifetime Charters...Steve's a great guy and would love to talk Hudson River Stripers with you. So today I come home and check my Facebook emails and get my first Fan Mail for www.ChasinTailTV.com. Well, I was so touched by the email that I am now taking Justin and his Dad on a trip of his choice this fall. Thank you Justin for watching our videos and liking our page. "hey joey I watch all your videos my uncle has a boat in Jamaica bay he mainly eels and live lines bunker for bass but never clams ur video was very informative so I was wondering if u do charters if so how much I have a Shimano Terez rated for 40-80 lb braid and my reel is a Daiwa Saltist LD 40 2 Speed loaded with 65lb power pro I wuod love to hook up with u sometime and I might come to the boat show this yr."